The game arcade near my house updated their poster! Usually, denkimouse posts with updates, but since she is currently in America, I hope it's okay if I post it. I can't wait for the Cinccino MPC in December and those fire starters are too cute! What do you guys think? What are you the most excited about? We won our GA and with discounts! Please pay promptly everyone o0vailo0o is counting on us :3, Thank you to all who participated you have all helped me achieve my goal of getting a mini-grail of mine :D.
Please comment here to let me know if you have paid, Thank you! Pokemon Center Store - Now Open on Amazon.co.jp! Oh wow, of all the places, I heard about this from Siliconera :p Anyways, apparently Amazon Japan has opened up not just a Pokemon Store with Tomy items etc, but one also with goods from the Pokemon Center! 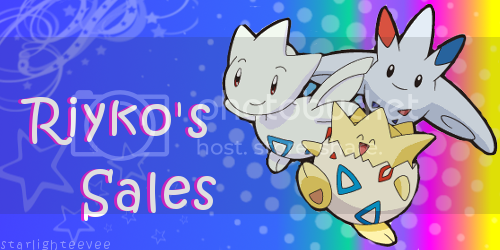 Older Pokemon Time goods (including the fancy ones), TONS of the newer canvases, Pokedolls, and so forth! North America (and the rest of the world) why don't you follow this and bring back the Pokemon Center online shop in some form?! I do have a question though (since it looks like my Amazon account doesn't work for the Japanese one): are these even orderable? I heard from some people who import games/anime that some things are NOT allowed to be purchased in North America by Amazon.co.jp... For those who have made import orders off there, are there duty fees that get added on later? 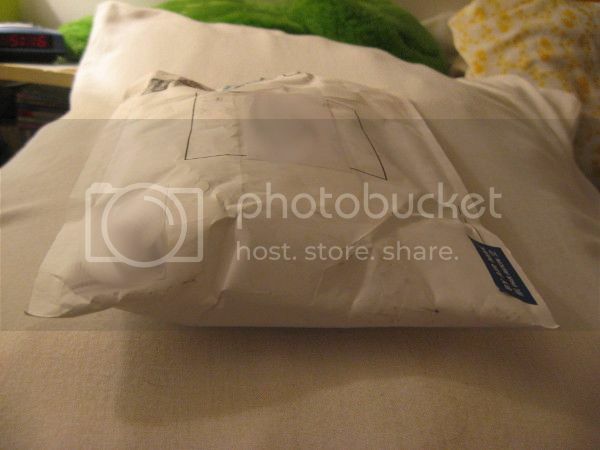 How is the shipping? Hopefully this could be another way for some of us to get merch! I mean, look at all those Canvases that have been sold out in most places for a while!! Haunted Pokedolls display and first collections update! Hey :D I can finally take pictures of my collection since I got the majority of my stuff in the mail :3 (still some coming XD but if I wait for them I will never be able to take a picture cause there is ALWAYS something coming in the mail :D). 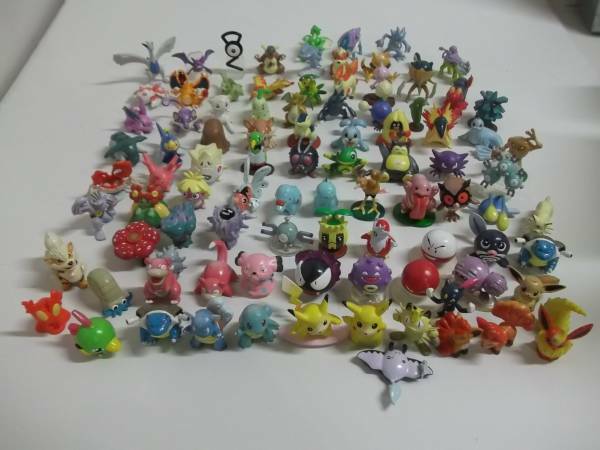 I have more pokemon merchandise at my parents's house :) they live at 300km from me sadly, but I am going to visit them at the end of the month and will take everything with me :D I have LOTS of figurines and older plush! Dice and Other Things GA - Payment 1!!! Hey participants of the Dice and Other Things GA! WE WON! And with some fantastic discounts to boot. :D First payment needs to be sent ASAP as this is an eBay auction! The spreadsheet can be viewed here! In the title and memo of your payment, please put "Dice GA Payment 1 - [username]" so I can keep track of payments easily! Payment is due within the next 48 hours. If I do not receive your payment by then, negative feedback will be left. Buy from Amazon - Yay or Nay? Has anyone from the community bought Pokemon merchandise from Amazon? 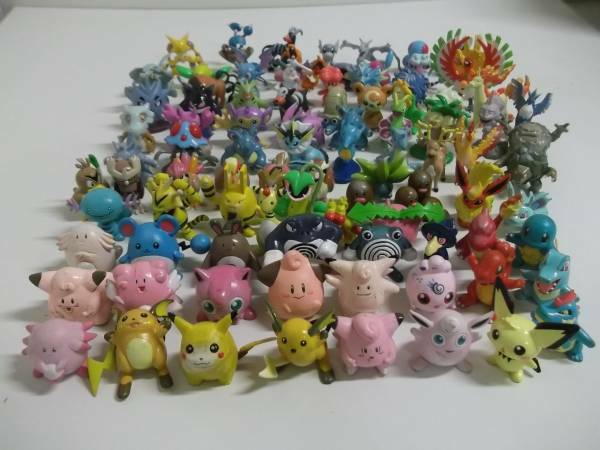 Particularly pokedolls? When looking to buy legit Pokemon items, should Amazon be treated like eBay (with bootleg filter mode set on full-blast)? Is there a function (like on eBay) where you can ask questions to communicate with the seller on Amazon before buying? So yeah. Last night a few of my friends and I went to this craft thing at the Union on Campus. Basically they supplied us with stuff and we got to use it how we want. There was this thing called Ugly Buddies so I decided to make a Charizard one. Made out of felt and Buttons. This derpy Guy is completely made by hand. PONPON WEIWEIWEI No. Not that PON. I really didn't expect to get my second grail so soon! But the people here are incredible and frogs are lucky. :D It's also about GPON because when I went to edit the pictures to post I remembered I had quite a few shots of Nate adventuring! So that's why this post is a grail get + GPON (Gratuitous Photos Of Nate) post. Big grails come in small packages! So, that's that. Now my next grail is the clear Politoed Kid! Can this luck carry me through 3 grails in a row? WE'LL SEE. So, currently there are 13 stamps left in the Group Buy! The majority left is Flareon, Zorua, Shinx, Snorlax, Lugia, and Lucario. Follow the fake cut to the Group Buy! Hey guys... I have a budget of about $30 including shipping and I'm trying to find Dragonite items for a XMas gift basket for my best friend. If anyone has anything Dragonite related, please let me know! 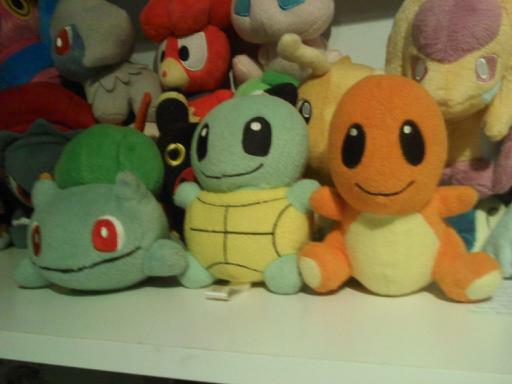 Hey everyone, I was looking through the poke plush project and I saw several that I would like to get my hands on. 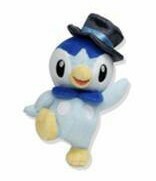 If anyone has one of these at a reasonable price (I don't have a whole lot of money to throw around) I would really appreciate it! DOES THIS STILL EXIST AND DOES ANYONE HAVE ONE???? I'm starting a Glaceon collection, since he's one of my absolute favorite Pokemon and now is a great time to be collecting Eeveelution stuff =D I've already ordered the new TOMY from Sunyshore and I'm also buying a pokedoll and a charm so once I get that stuff together I will post an update! Also, I've been looking at kids and decided that I would love to get my hands on some! 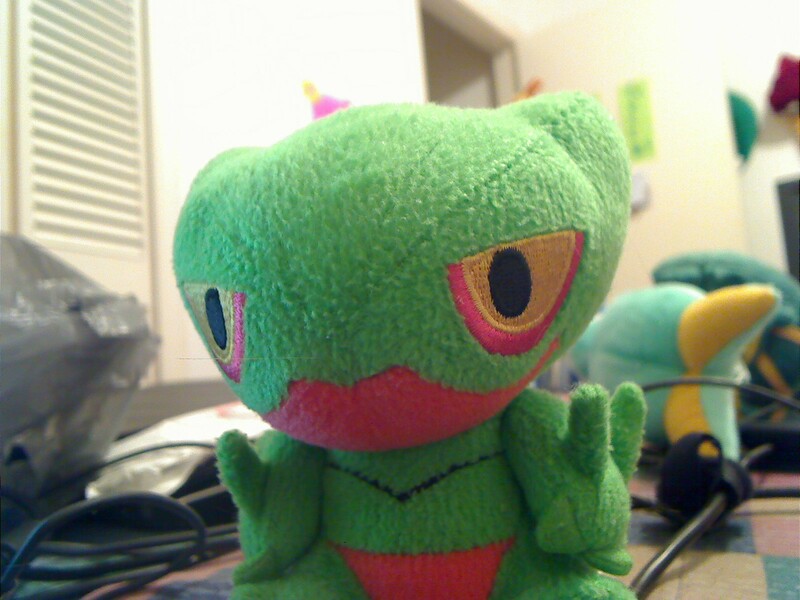 I especially want shiny Treecko, but any treecko, piplup, glaceon, or sceptile would be great. Finally... I've seen clear files on a lot of sites (especially around the community) and I was wondering if they were like regular folders or if there's something different about them? Sorry about the delay been really busy with life but figures are all packed and ready to be shipped out on monday :). POKEMON TIME PLUSH PAYMENTS!! 2!! I am starting to take them early because, why not? Just be sure you've paid for these shipping costs by October 27th! Make Subject "PT2: your LJ name"
Make Description: A copy of your plush order list (NOT "Thanks!" or "For PokeTime"). Take 3$ off your cost. Make Subject "COMBINE PT2: your LJ name"
Make Description: A copy of your plush order list AND YOUR SUNYSHORE ORDER NUMBER! These payments have not been made at all! I've updated your totals to include shipping. Pay soon or contact me or I will be super grumpy!! This is just a reminder for my auctions that end Saturday, October 20th at 11:00 PM Central time. Looking for eeveelution +pokebox+ items. Hello all! I am a eeveelution lover, specifically espeon and was curious is anyone has any of the Pokebox eeveelution series items they are willing to sell. 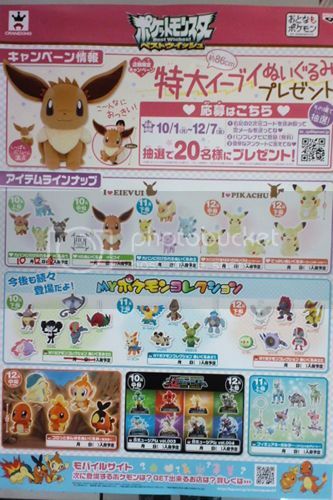 Even more specifically I really want the Espeon, Leafeon, and vaporeon. I am not necessarily looking for any MIP, so if you are willing to part with one of these please let me know! Edit: I was able to purchase Espeon, Leafeon, Jolteon and Vaporeon. Thanks for all the help! (= I might still be interested in another vaporeon for a friend and possibly the other eeveelutions as well for myself.